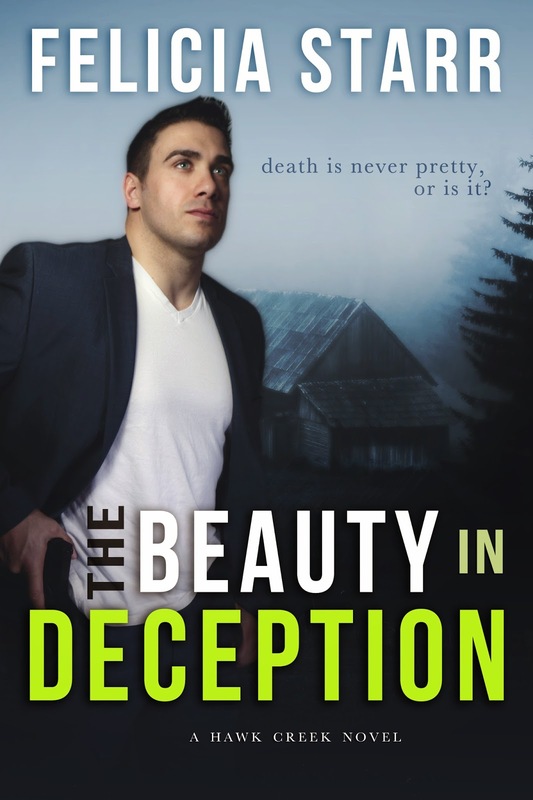 After years of tangled sheets with a series of one-night-stands and living under a whiskey-induced haze, Detective Dex Preston is constantly trying to cope with the pain and guilt of his past. His perpetual state of denial is interrupted by a disturbing string of horrific murders, thrusting him into a very bizarre case. Dex struggles to bring justice to the murdered women because every lead uncovered is tied to the women in his life. As the bodies pile up, Dex realizes his life will never be the same when he has an unexpected run-in with Trina Hayes, a snarky blonde who possesses the potential to break down the walls of his hardened heart. She alone can bring Dex face to face with two things he fears most—love and death. 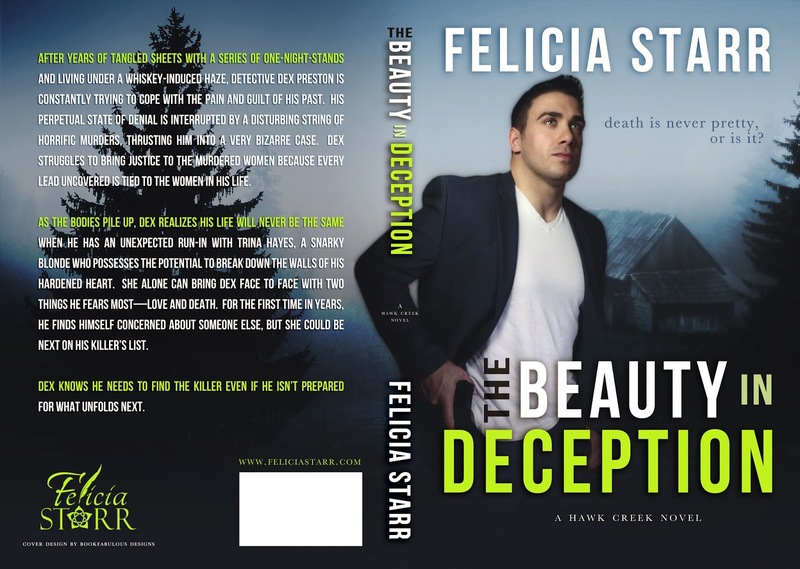 For the first time in years, he finds himself concerned about someone else, but she could be next on his killer’s list. 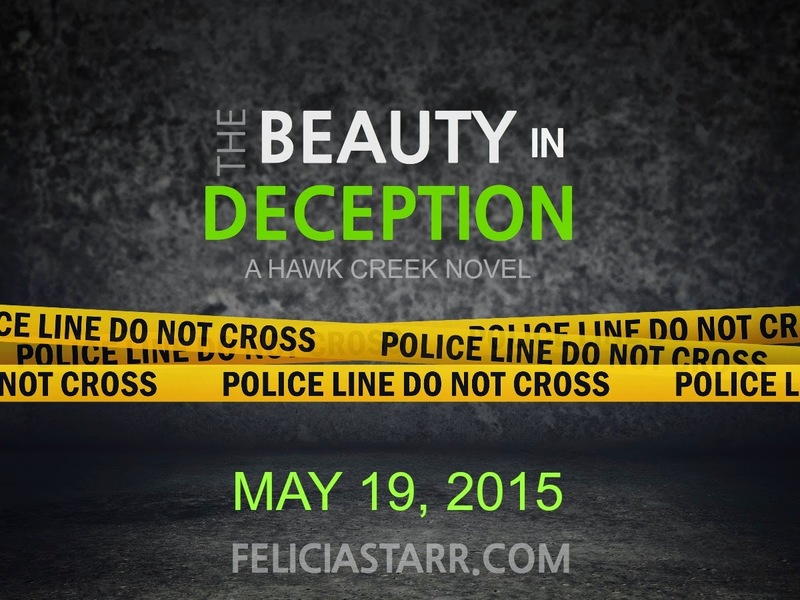 Dex knows he needs to find the killer even if he isn’t prepared for what unfolds next. One and a half years earlier. It wasn’t raining, but her clothes were soaked through and clinging to her skin with her every movement. Her hands trembled as she attempted to place them down on the hard pavement beneath her, and Trina rolled over onto all fours in an effort to find enough stability to get to her feet. Fatigued, her legs wobbled with the failed attempt at standing. She wasn’t sure if she was crying, yet she felt hot, wet beads slithering down her cheeks as she tried crawling down the deserted alley toward the lights of the random passing cars. One hand in front of the other. Keep moving. Don’t stop! She forced her nearly broken body to push through the pain to get to the light. Small bits of gravel dug into hands and knees, causing her to flinch so hard that her knee buckled underneath her. Her shoulder crashed agonizingly down onto the ground. Her cries went unanswered. Curling up in the fetal position, she rocked herself back and forth. The pain, confusion, and uncertainty of what had happened to her haunted every corner of her mind. Trina never left the house without her purse or her phone. The realization that they must be somewhere in reach gave her an inkling of hope—unless she’d been mugged. Without any recollection of the preceding events, she couldn’t know if they were close by. Trying to push up again, enough to search the ground around her, she dragged her body, scraping the last layer of flesh from her forearms. The sheath of salty liquid that filled her eyes impaired her sight even more, and while her vision was finally starting to adjust to the darkness, she still couldn’t make out where she was. Sliding her palms out in front of her and to the sides, she searched for something, praying that she would either find her phone, or someone would hear her cries for help. Her hand made contact with something soft, and thinking she had found her purse, a sigh of relief washed over her. However, when she attempted to pull it closer, it barely budged. Trina yanked again, but instead of it sliding in her direction, the weight of what she held onto pulled her forward. Her hands still shook as she apprehensively stretched her arms out, feeling and searching to identify what she was touching. The object was rounded, like a log, but with a softness that started to concern her. Her chest tightened, and she felt her brow cinch. She pulled herself up to a sitting position and wiped the tears from her face with the back of her hand before proceeding. She held her breath, not wanting her hands to confirm her fear of what it was. She couldn’t really see, so she slammed her eyes shut and pulled her lips between her teeth, biting down on them as she searched the darkness in front of her. The cylindrical object was attached to something larger, and she felt the wet fabric that coated another body. Frantically, she felt for the chest. The soft mounds of flesh that her hands skimmed over indicated that it was a female. She felt the body again. Slowing her pace, Trina released her hold on the limp arm. Her hands shook so hard that she felt the vibration coursing through them. She didn’t want to know, yet she had to be sure. Her hand slowly approached the, stopping on her chest. There was no upward movement, and she forced her hand to the face to feel for a breath, but there was nothing. The dark alley brightened ever so slightly, and she looked up and saw lights flicker on in more than one window. She yelled again, hoping that they heard her. “Help me! Call the police!” Her screams continued, over and over again, until her throat wouldn’t allow it anymore. It felt like an eternity that she sat there, crying out for help. Her body quivered from shock, fear, and the chill of the night on her wet clothing. Trina was alone, next to the body of a faceless woman who was not lucky enough to still have her life. The sirens in the distance grow louder as they approached, and Trina tucked her head into her knees and held on for dear life. Sobbing, she rocked herself back and forth. The vehicles she’d heard screeched to a sudden stop, at what was most likely, the end of the alley. She didn’t want to lift her head to look. It hurt too much. At last, she could see the flashing blue and red lights illuminating the backs of her eyelids. Several sets of footsteps pounded the pavement in her direction, and she listened to the familiar sounds of clinking and heavy leather belts rubbing against the legs of the approaching officers. It was a sound she wasn’t sure she welcomed. She discerned the unsnapping of the gun holsters, counting at least three. There may have been more disguised by the sound of slides racking and the rounds being chambered in their standard issue Glock 45s. “Yes, eleven-forty-one. You might want to send over two buses. ASAP!” Ckshhhh. The static cut in and out as the man’s voice grew louder. Trina knew he was confirming that they needed an ambulance. Trina could sense that the officers were slowly getting closer to her, but their voices sounded as if they were miles away. Their words were muffled by the sounds of her whimpering. “Sir?” a woman’s voice trailed behind him. The man’s voice was almost on top of her. Trina heard what he said, but she was about as frozen as a person who couldn’t stop shaking could be. In Trina’s mind, she could see herself releasing her legs and showing him her hands, but she couldn’t connect the command to the action. A second set of footsteps and the clambering of a gun belt rattled around behind her, and a sudden shot of pain on her shoulder jolted Trina into motion. She was too disoriented to realize someone had put their hand on her shoulder. The man was no longer raising his voice, and she could feel him beside her. “Here you go, sir,” the female officer’s voice sounded. He draped the blanket over her shoulders, and the pressure from the shroud felt like pins and needles on her flesh. She wasn’t sure if it was from an injury, or if her skin was so cold that it had become numb. “Can you tell us your name?” he asked. She slowly lifted her head. The intensity of the flashlights assaulted her eyes, causing her to blink repeatedly. Trying to focus was a struggle. 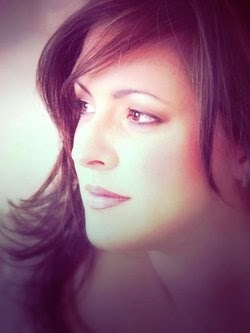 “Trina, Trina Hayes,” her voice was just a whisper. “Trina, can you tell me what happened here?” O’Neil questioned. With trepidation, her head turned to the officer who had said it. She looked at his face and couldn’t help but think of how young he appeared. He must have been in his early twenties, but he looked like an oversized teenager. How she wished she had kept her eyes on him instead of investigating her surroundings. Her eyes fell down hard on a blood soaked body, only inches from where she sat. She scanned the woman’s figure quickly, looking for injuries, and most importantly, her identity. Was it someone she knew? Trina’s hand escaped the shroud of fabric that was draped over her shoulders to cover her mouth as she gasped for air. She tried to back away, but she collided with Officer O’Neil. “Do you know her?” he asked. Trina turned into him and shook her head. He put his arm around her but did not squeeze her into an embrace. There was nothing personal about it, just a reassurance that she was in safe arms. “The first bus is here, sir.” Clark called over to O’Neil. The pupils of his eyes were so big they looked black. His head was clean-shaven, and he wore a thick mustache over his top lip. She almost laughed to herself. He looked like a cop, one with the shoulders of a linebacker. “So… are you telling me that you were taken from your home?” O’Neil asked. The medic flashed a light in front of her eyes, asking her to follow the beam, and grasped her wrist to check her heart rate. “Everywhere.” Trina tossed back the blanket and looked down at her clothes. The last she recalled, she’d had on matching thermals with tiny flowers on them. She now wore jeans and what had once been a white sweater. It was torn through on the sleeves and covered in dirt and blood—a lot of blood. 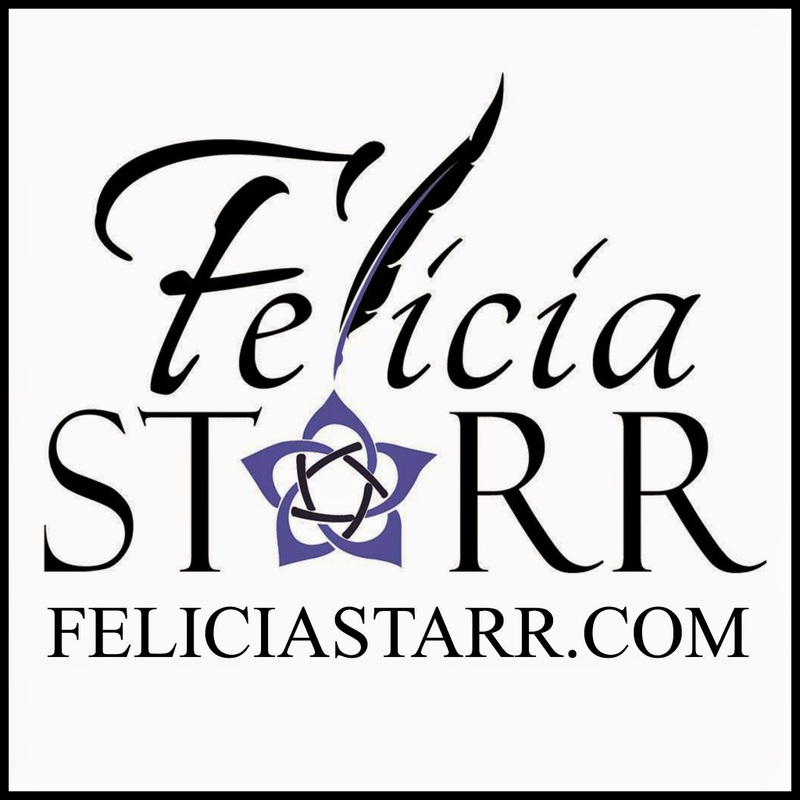 Romance writer Felicia Starr was born and raised in New Jersey. She has been an avid traveller starting at a young age taking magical adventures exploring scenic and historic sites across America with her grandparents. Lover of almost all things paranormal and science fiction, yes that includes fantasy and no it does not include movies about giant ice spiders. Her days are spent counting down the minutes until her next cup of coffee, preferably with a caramel swirl, her nights are filled with reading and quiet meditations drawing inspirations for her stories. Reading for fun, writing for passion… always thinking and dreaming in scenes.